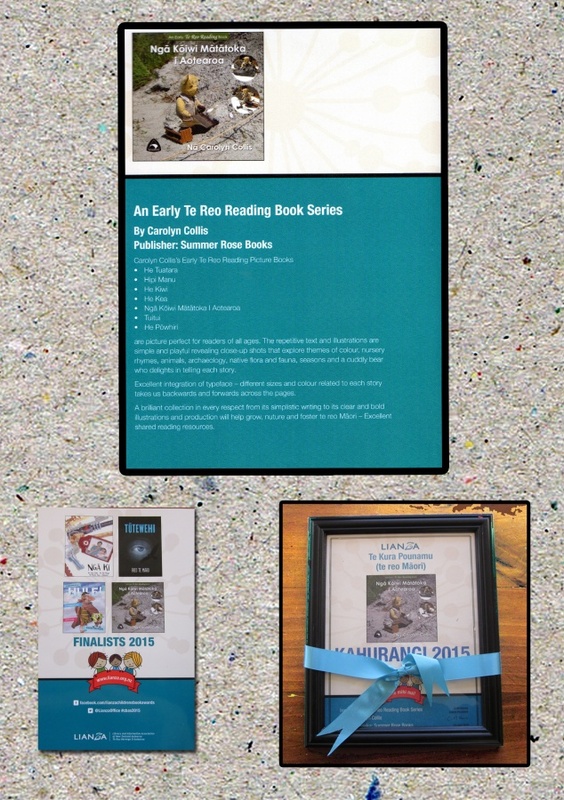 commented on "An Early Te Reo Reading Book Series have been selected in the Te Kura Pounamu Award 2015. ..."
An Early Te Reo Reading Book Series have been selected in the Te Kura Pounamu Award 2015. This series are picture perfect for readers of all ages. The repetitive text and illustrations are simple and playful revealing close-up shots that explore themes of colour, nursery rhymes, animals, archaeology, native flora and fauna, seasons and a cuddly bear who delights in telling each story.